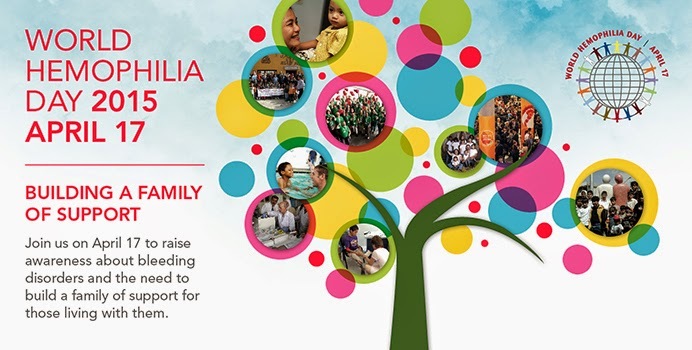 In celebration of the World Hemophilia Day on April 17, the Hemophilia Association of the Philippines for Love & Service (HAPLOS) will spearhead a national gathering of different Hemophilia groups and support organizations at the Glorietta Mall in Makati City on April 11 to 12. Dubbed “Count Me In,” the two-day activity seeks to raise awareness and understanding about hemophilia and related bleeding disorders. The event expects to gather around 300 persons with these conditions, along with their families and friends. Hemophilia, von Willebrand disease, inherited platelet disorders, and other factor deficiencies are lifelong bleeding disorders that prevent blood from clotting properly. People with bleeding disorders do not have enough of a particular clotting factor, a protein in blood that controls bleeding. The severity of a person’s bleeding disorder usually depends on the amount of clotting factor that is missing or not functioning. People with hemophilia can experience uncontrolled bleeding that can result from a seemingly minor injury. Bleeding into joints and muscles causes severe pain and disability while bleeding into major organs, such as the brain, can cause death. 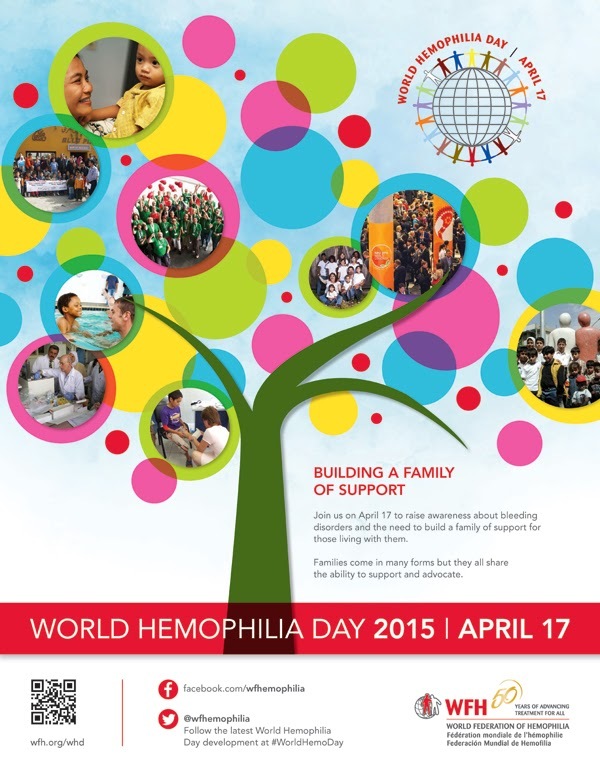 According to the World Hemophilia Federation, about 10,000 Filipinos have hemophilia. On the other hand, there are about 1-million Filipinos possibly affected with von Willebrand Disease and other bleeding disorders. However, only around 1,200 have been identified. Despite being considered as a serious and lifelong condition, awareness for hemophilia, von Willebrand Disease and inherited bleeding disorders has not gained momentum in most countries including the Philippines. As a result, significant disparities in treatment still exist, with about 75 percent receiving very inadequate treatment or no treatment at all. Through the event in Glorietta Mall, HAPLOS hopes to educate more people with the help of PWH themselves, and create a call to action in order to close the gap in care and treatment. “Unlike other conditions, Hemophilia, von Willebrand Disease and other bleeding disorders receive little public awareness and attention. The World Hemophilia Day, celebrated by countries all over the globe, is an opportunity for the bleeding disorder community to come together, speak out, and focus on the need to improve and maintain treatment, as well as help those with the condition to live as normally as possible,” said HAPLOS President Ric Felipe. “Count Me In” lead campaigner Andrea Echavez said the event serves as a call to action to those with hemophilia, von Willebrand Disease and other bleeding disorders to be more active and be included in the National Hemophilia Registry. “We want to encourage people with Hemophilia, von Willebrand Disease and other bleeding disorders that even though our condition is life-long, we can be productive members of the society,” Echavez, who has von Willebrand Disease, said. A former Inquirer reporter and now a communication consultation of an international organization, she said many patients feel overwhelmed with their condition especially when they experience bleeds. “Our quality of life is definitely different from those without disorders. And we are not dismissing what our fellow patients feel. Many times bleeds can be overwhelming. But it should not stop us from striving to lead normal lives,” Echavez said. Count Me In campaign also calls for volunteers from outside the Hemophilia community, public support for the Hemophilia community, and for government to look into the plight of persons with hemophilia. The two-day event will feature psycho-social activities for children and youth by Kythe Foundation, fundraising activities such as sale of art work and products by persons with Hemophilia and their families, testimonials of persons with Hemophilia, medical lectures on hemophilia and other bleeding disorders, video loops in between programs, as well as entertainment by children and adults with hemophilia and other bleeding disorders. There will also be a blood donation campaign with the assistance of the Philippine Red Cross. The activity is co-organized by HAPLOS and the Philippine Children’s Medical Center (PCMC). 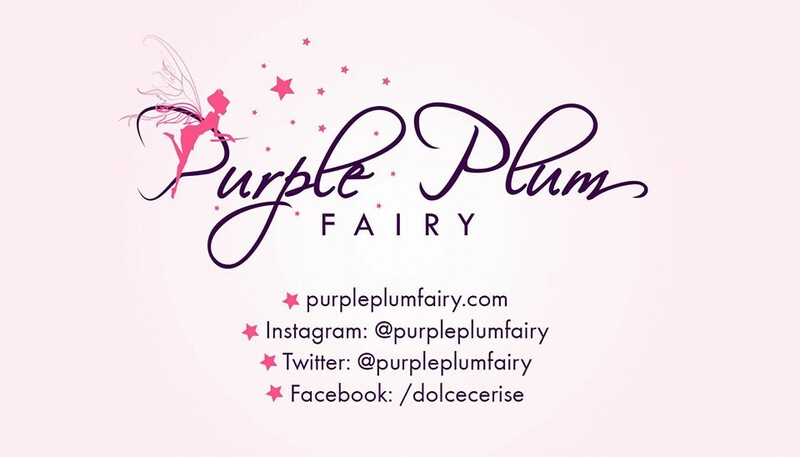 It is supported by Glorietta Mall, BusinessMirror Group of Publications, Novo Nordisk Hemophilia Foundation, Philippine Red Cross and Kythe Foundation.